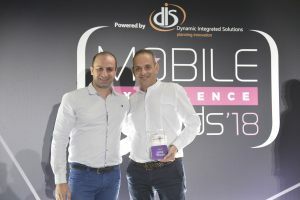 Once again, Looksomething hit the Mobile Excellence Awards that took place at Anais Club, in Athens; an event that honours innovative companies that develop and market mobile applications, digital services and solutions. This year, our team took home 2 awards, a Gold in the “Mobile Service Company with International Expansion” category as well as a Silver for “Music & Performance Mobile Applications”. Numerous mobile professionals and brands from around Greece gathered in Athens to network, learn, and build relationships with the best in the business. Looksomething, has a huge portfolio, including clients on more than 160 countries around the globe, numbering more than 2.800 mobile apps on Apple, Google and Microsoft stores. Our dedicated white-label reseller programme has allowed Looksomething to approach remote markets in Africa, South America & Asia. At the same time, our complete solution for radio stations provides iOS, Android & Windows Apps along with Websites to FM, AM or Web Radios. Our native mobile apps are specifically developed for radios and include plenty of targeted features and numerous monetisation tools. We are always glad to take part in such events that celebrate innovation in the mobile sector and to receive the recognition of people with whom we share the same passion for culture and innovation.